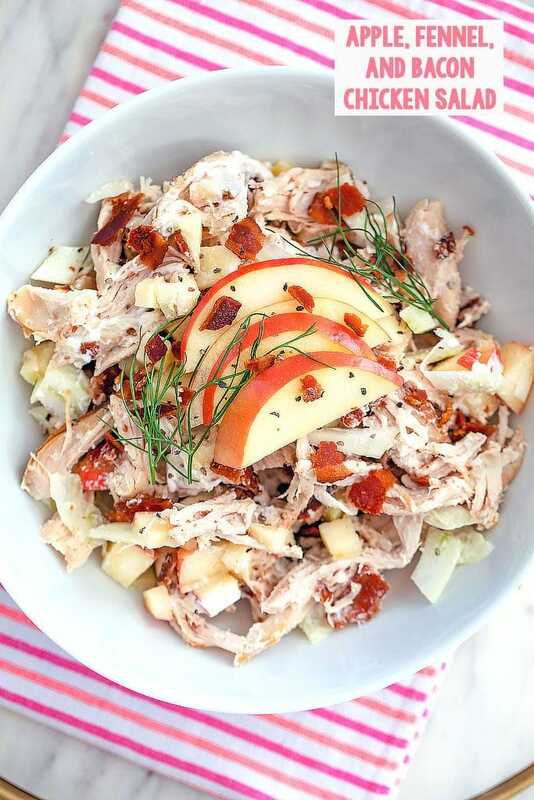 This apple, fennel, and bacon chicken salad has all the components necessary for the ideal chicken salad and makes the most delicious lunch! Are you a big lunch person? I feel like most people are either super into lunch or just skip it all together. When I worked in an office, I was a huge lunch person because it gave me something to look forward to, helped break up the day, and allowed me to fuel up for busy afternoons. But now that I work from home, my eating schedule varies so much that some days I am obsessed with lunch and other days I forget it all together. It mostly depends on what I have waiting for me in the fridge. The thing is, everyone is always talking about dinner prep and breakfast prep, but what about lunch prep?? If you aren’t prepared for lunch, you’re either going to a) eat nothing, b) stand in front of the fridge snacking (if you work from home), or c) go out and buy an unhealthy and/or $$ lunch (if you work in an office). Lunch prep is key! It’s tough because you can’t really make sandwiches ahead of time (or else they’ll get yucky and soggy) and salads with greens don’t usually keep well. I used to bring a lot of leftovers for lunch, but some people don’t like having to heat their lunch up in the office kitchen. Enter chicken salad. Chicken salad is the best make-ahead lunch because you can keep it in the fridge for a few days and it tastes just as delicious. If you prefer it on a sandwich, you can easily make one when the chicken salad is already prepared in your fridge. The add-in options are endless when it comes to making your own chicken salad. I’ve made quite a few combinations in my day, but this recent apple, fennel, and bacon chicken salad creation is my new favorite! I have a few tips that will help you discover your ideal chicken salad. Add a little bit of crunch and a little bit of sweetness. Sometimes I add grapes and celery and sometimes I add apples and fennel. But for me to be happy, I need crunch and sweetness in my chicken salad. Boost flavor with add-ins of your choice. I love adding bacon to my chicken salad. A little goes a long way and it brings in that delicious umami kick. Plus, you can lessen the amount of salt you add when bacon is involved. Add in the “moistener” of your choice (I truly apologize for not being able to determine a better word than “moistener” LOL). I usually use mostly Greek yogurt in my chicken salad with a little bit of mayo tossed in for flavor, but you can adjust the ratios to your liking. Obviously yogurt makes it a bit healthier, but a combination can help boost flavor. If you’re in a rush, make your chicken salad with a rotisserie chicken. Of course roasting your own chicken or grilling chicken breasts isn’t difficult, but if you just want to get the chicken salad made quickly so you can get on with your day, there’s absolutely nothing wrong with using a rotisserie chicken. I use them all the time for this pure convenience. 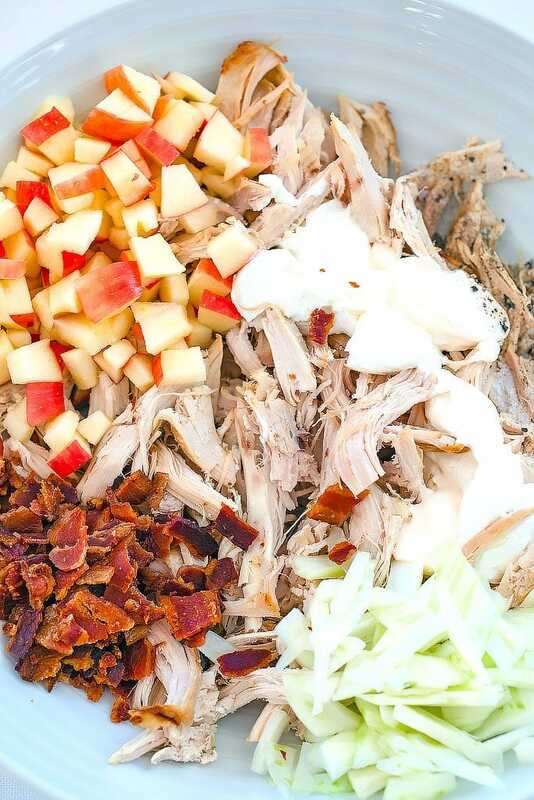 Making this apple, fennel, and bacon chicken salad isn’t difficult at all.. All you need to do it mix all the ingredients together. And lunch is ready!! Even if you’re just planning to pop it in the fridge and bring it to work tomorrow. 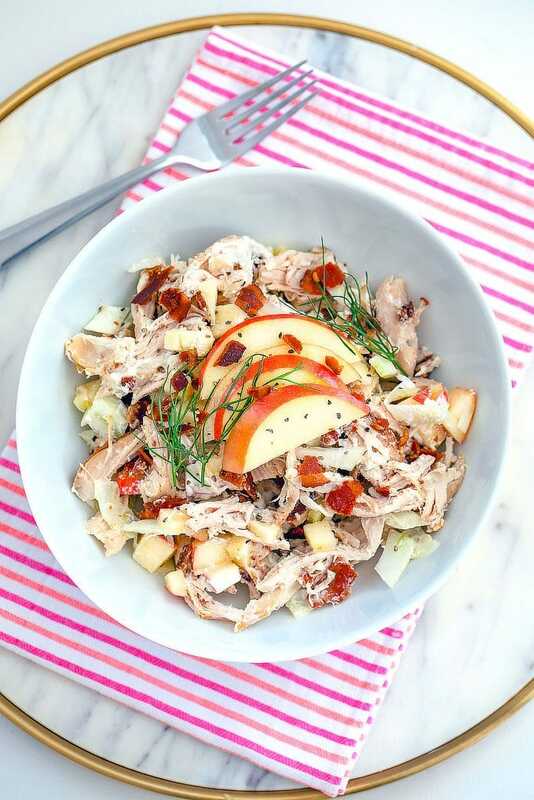 This apple, fennel, and bacon chicken salad is the ideal lunch for so many reasons. It’s pretty low-carb and actually pretty healthy aside from a few slices of bacon and tablespoons of mayo. I was happy eating it right out of a bowl, but I also loved adding some of the chicken salad to a sandwich. Toasted bread is the best for chicken salad sandwiches! It’s also great with crackers of Triscuits. I think fennel is one of the most underrated veggies and should be taken advantage of more often. 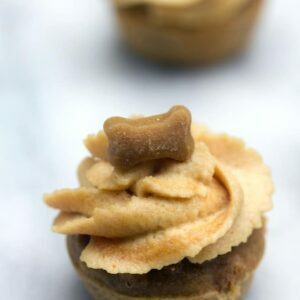 It has the perfect little crunch and such a unique and fun flavor that complements so many dishes. It goes especially well with bacon and apples. My family has always been big into fennel to the point where we sometimes refer to ourselves as “fennel people” LOL. I really do think this is my new favorite chicken salad… It’s crunchy, sweet, and salty and I kept trying to get a little bit of each ingredient in every bite. Having this sitting in my fridge meant I actually sat down and are lunch for the week instead of skipping it all together or mindlessly grazing in front of my fridge. I want to start making a big batch of this every Sunday night so that I have it waiting for me come lunchtime during the week. Should I pack some for my husband, too?? Hmmm. I do think it’s quite possible that this would be one lunch that wouldn’t end up in the trashcan… At least it better not! They say breakfast is the most important meal of the day, but I think lunch is pretty darn important, too. 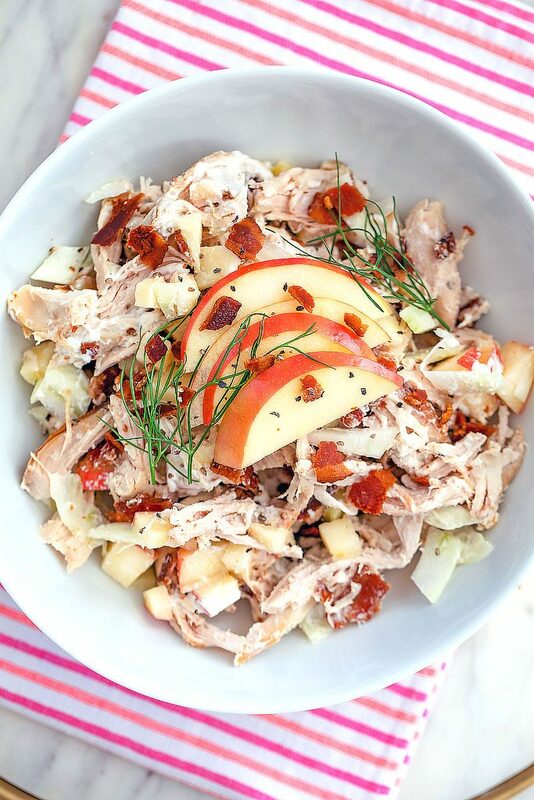 If anything, it gives you a good excuse to put down your work for a few minutes and indulge in something delicious like this fennel, apple, and bacon chicken salad! Are you a lunch person? If you’re looking for more quick and easy lunches, check out my Avocado Egg Salad with Spinach or my Brussels Sprouts Bacon Caesar Salad. I also can’t wait to try these Spicy Chickpea Gyros from Simply Lakita! 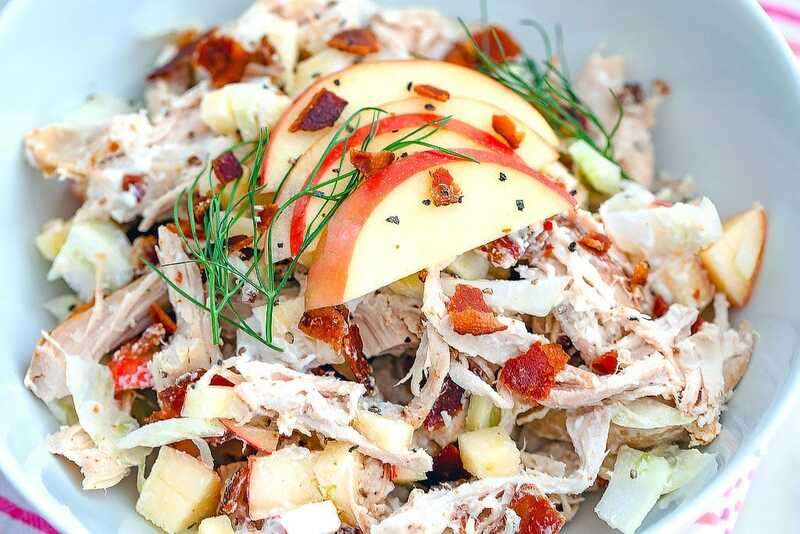 This apple, fennel, and bacon chicken salad has all the components necessary for a great chicken salad and makes the most delicious lunch! Add chicken, fennel, apple, bacon, Greek yogurt, mayonnaise, salt, and pepper to a large bowl and toss to combine. Keep chicken salad in an airtight container in fridge until ready to eat. Chicken salad should keep in fridge for 3-4 days. 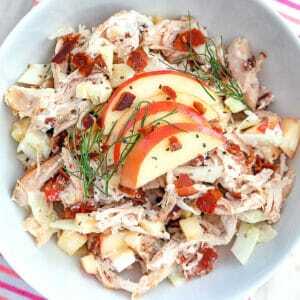 7 Responses to "Apple, Fennel, and Bacon Chicken Salad"
I love the name of your blog! And I can’t wait to make this lunch. (I am on Team Lunch also). Now you’re talking! I love fennel but I’ve never thought of making a chicken salad with it. This is going on my lunch menus. This is the absolute best chicken salad recipe I’ve ever tried! Love it! This salad looks so good and refreshing! I bet the fennel really adds something special to it. Love this flavor combination. 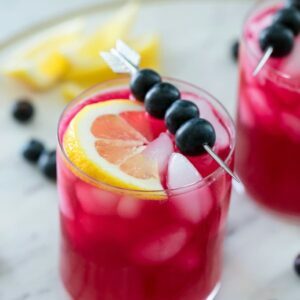 So unique and delicious! 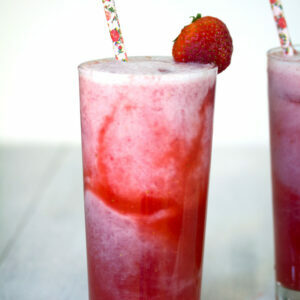 Looks delicious.. 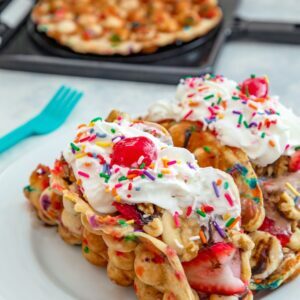 I am definitely going to make this!